The Nativity: In what ways did Jesus both fulfil and confound expectations about the Messiah? Reflect upon how a set of information can be accurate but also misleading. 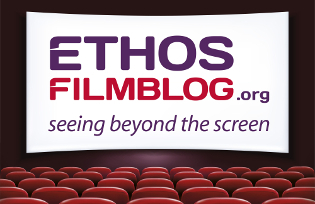 Analyse a film clip to determine Old Testament expectations of the Messiah. Analyse a film clip to determine differences between these expectations and Christian belief about how Jesus fulfilled messianic prophecies. Analyse Bible passages to compare Old Testament prophecies about the Messiah with episodes from Jesus’ life. Synthesise learning by writing a conversation featuring a witness to Jesus’ birth. It has the Queen’s head on it. It has a precise monetary value attached to it. It has passed through an unknown number of hands to be here in the classroom today. It is made of paper rather than metal. Hopefully one or more of the students will deduce from the clues that it is a bank note of some description. If not, you might want to repeat some of the clues and help them to make that connection (don’t lead them too blatantly to that conclusion though). Once you are happy that the students have worked sufficiently through the clues, ask which students would be happy to receive your present. Choose one and hand over… a used stamp (preferably one with a value printed on it, rather than a generic first or second class one). Go through the four clues and demonstrate how each one applies to the stamp, even if the students were all expecting something very different. Explain that in today’s lesson you are going to be thinking about what Christians believe about Jesus’ role as the Messiah, and in particular looking at how he both fulfilled Messianic prophecy and confounded contemporary expectations for what the Messiah would be. Introduce the first clip from the BBC dramatisation of the Nativity story, The Nativity (BBC DVD, 2011, certificate PG). Click here to buy the DVD online. Explain that when Jesus began his public ministry, the Jewish people were living under Roman occupation, and were looking forward to the arrival of the Messiah, a figure prophesied in their Holy Scriptures (the Christian Old Testament). Ask the students to pay particular attention to what the clip reveals about expectations of the Messiah. Ask the students what the conversation suggests the people in Jesus’ time expected the Messiah to be like. Draw out that they expected him to be a leader who would free them from the Romans (Thomas refers to him dismissively, as ‘one man to fight Herod and the whole Roman Empire?’). Thomas also thinks that a man like the Messiah would be too caught up in affairs of state to be interested in the problems of normal people, like shepherds. The clip starts with Thomas and the other shepherds sitting around a fire. It ends with Melchior (Jack Shepherd) saying, ‘…here to take away the sins of the world.’ Stop the film before a voice-over (presumably the adult Jesus) starts reciting the Beatitudes. If you want a shorter clip, or if you think squeamish students wouldn’t cope with the footage of Mary’s labour, you could start the clip at 1.45.58 (still in chapter 11), with the newly-born baby in Mary’s arms. The first line of this shorter clip is the woman who was helping Mary asking, ‘Have you thought of a name?’ As well as losing the labour scenes, this shorter clip will also miss out Gabriel’s (John Lynch) conversation with the shepherds. Ask the students what new information is given about the Messiah in this scene, and to highlight ways in which it gives a different perspective from the one given before. He is more interested in ‘ordinary’ people than Kings and rulers. He is not just sent from God, but is (as Melchior says) ‘God himself among us’. He has ‘come to take away the sins of the world’. To reinforce the distinction between what the Messiah was expected to be, and what Christians believe about how Jesus fulfilled the Messianic prophecies, use the following activity. Divide the students into small groups, and give each group a set of Messiah cards. Explain that you want them to look at a number of Bible passages. For each passage there are three cards: one with the words of the actual passage, one with a summary or interpretation of the passage, and one stating whether the passage is from the Old or New Testament. The students’ task is to match the right combination of cards together. It is worth pointing out that while some of the summaries may fit more than one passage, there is only one way of fitting all twelve passages with accurate summaries (for example, you could argue that the summary of Luke 4:16-21 also accurately fits Mark 8:27-30, but not that Mark 8:27-30’s summary fits Luke 4). While taking feedback and correcting any mistakes the students have made in sorting the cards, make sure to emphasise the difference in the idea of the Messiah that people were expecting (a strong, military leader who would free Israel from Roman occupation and be the new King) and the kind of Messiah that Jesus was (a spiritual leader who would free his people from sin through his own sacrificial death). It might be interesting to talk about some of the Old Testament passages and pick out how the verses might have been understood by people before Jesus’ time, and how Christians might have a different understanding as a result of Jesus’ fulfilment of the prophesy. Ask the students to write a discussion between Thomas the shepherd (from the film clips) and other shepherds who were not witnesses to the events of the first Christmas. Thomas should explain not only what happened, but the significance of Jesus’ birth and how Jesus would go on to fulfil the prophecies about the Messiah. A copy of The Nativity and the means to play it.